For Stein Sperling founder Paul Stein, the key to being a successful trial lawyer lies in having the insight to determine whether to litigate or negotiate, as well as the skill to assess and adapt to changing dynamics when in the courtroom. Paul brings to his clients decades of experience representing individuals and businesses in state and federal courts, as well as alternative dispute venues. His strength lies in using his well-honed trial skills to anticipate the human factors presented by judges, juries, witnesses and opposing counsel in court. A life-long student of trial law and advocacy, Paul also teaches, passing on his passion for the courtroom to the next generation of trial lawyers. 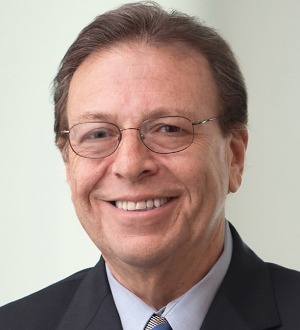 For nearly 30 years, he has served as an adjunct professor in the Trial Practice Program at American University’s Washington College of Law, and has also taught litigation to paralegals at the University of Maryland. Additionally, Paul has lectured to bar groups and the community on criminal and family law. In March 2003, Paul was elected as a fellow to the American College of Trial Lawyers, an organization whose prestigious membership is by invitation only and extended to lawyers who have mastered the art of advocacy and embody the highest standards of ethical conduct, professionalism, civility and collegiality. He is also board certified as a civil and criminal trial advocate by the National Board of Trial Advocacy and has received the International Academy of Trial Lawyers Award for superior proficiency in the Art and Science of Trial Advocacy. In addition to his legal practice at the firm, Paul serves as a court-appointed mediator for the Circuit Court of Montgomery County. He is a former panel chair for medical malpractice hearings for the Maryland Health Claim Arbitration Office and previously served on the Inquiry Panel for the Attorney Grievance Commission for the State of Maryland. An active member of the community, Paul currently serves on the Board of Directors for Hearts & Homes for Youth, an organization that helps troubled children and youth who are abused, neglected or runaways become independent, productive adults. He previously served as chairman of the Montgomery County Commission on Landlord and Tenant Affairs, as president of the Central Maryland Chapter of the United States Navy League and as a member of the Economic Development Commission for the City of Rockville. Paul also is a past member of the Board of Directors and Finance Committee of the Hebrew Home of Washington, D.C.